I have tens of thousands of files synced on my devices. On Android, of course it's selective sync for storage reasons, and only used for just in case a file is needed on the go. 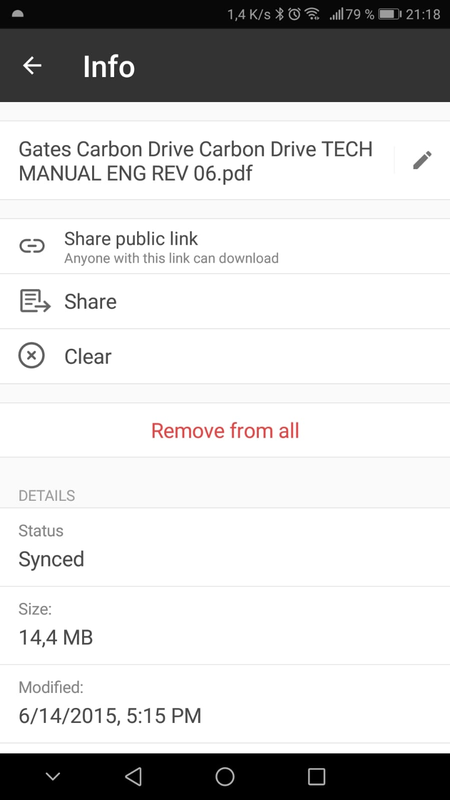 So why on earth is it that (additionally to "sync" or "share") I can't OPEN a file from Sync's search screen on Android? 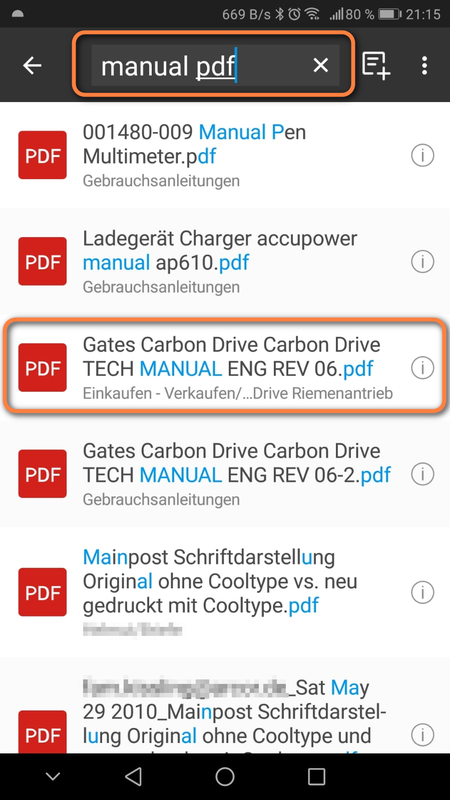 Files can be opened from search screen, of course provided they are downloaded to the phone. What are the steps exactly? Please send a few screenshots or screen record. Thank you Helen, will do so. Haha, now it's clear what is the problem. Next screenshot shows the menu options I get when I select the file. Okay, can't seem to open the file? Probably because it is not synced. This is where I gave up last time. However, now I found that the problem was that I only had tapped on the file's icon, which only selects the file. I did not know, and it is also not very self-evident, that for opening the file, you have to tap the filename and not the icon. What's more, if the file is already selected and you tap the filename, the file is still not opened but instead only unselected. You then have to tap the filename a 2nd time to open it. To conclude, opening a file from the search screen is very unintuitive: "don't tap the icon and don't select the file beforehand, instead make sure to only tap the filename of an unselected (and synced) file to open it!" -- and does not really follow any file manager conventions. Thanks for listening, and please consider fixing this somewhat weird behavior of the search screen. 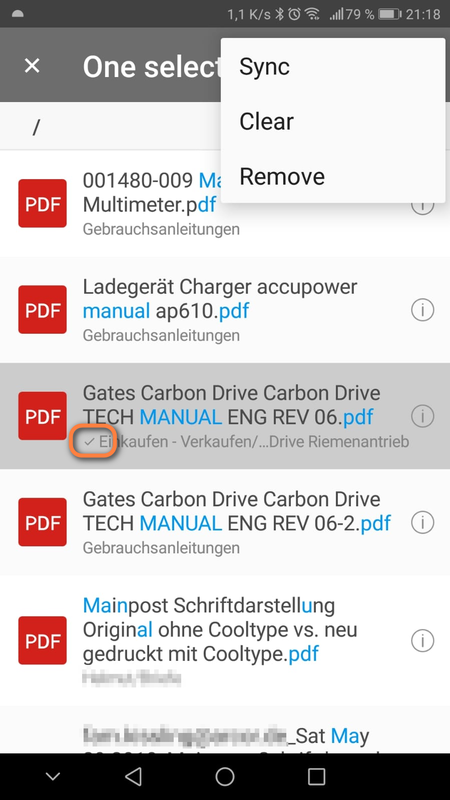 search for file - tap on it (its name, not icon) -> it gets downloaded. tap on file (its name, not icon) -> It's opened. Tapping on icon is for selecting the file (for multiselect and bulk operations). Well, this is neither intuitive nor standard behavior in any file manager, or file list, for that matter. 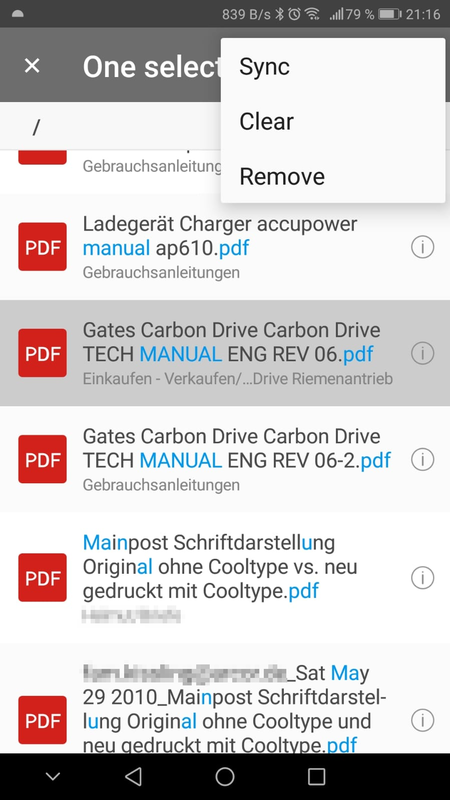 At least, when a file is selected (and already synced), "open" has to be shown in the menu options, additionally to "clear" and "remove". Not sure if "sync" should be a menu option for a synced file either.